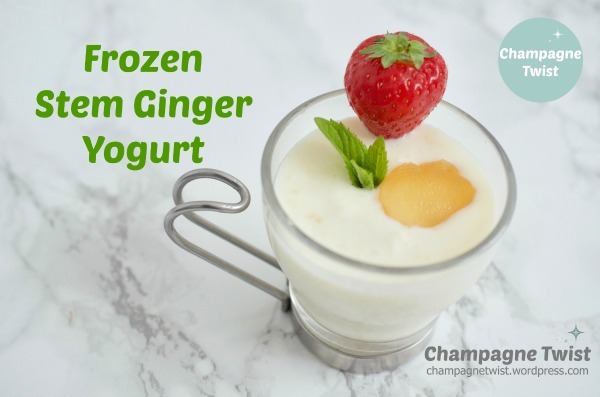 I have a very easy recipe for frozen Stem Ginger yogurt, using just 3 ingredients. 4-5 balls of stem ginger, finely diced. I used Wooden Spoon’s which I think has a lovely flavour. Place both the yogurt and the ginger into a freezer proof tub or old ice-cream container which has a sealable lid. Stir thoroughly, secure the lid and place in the freezer for about an hour before serving. I serve the frozen yogurt with fresh fruit as a quick, elegant dessert. It’s a lovely served in small glasses and makes for an impressive yet elegant after dinner course. You could also serve with chocolate curls or thins if you want to add a little more indulgence. This time last week, I was enjoying a great masterclass, held by the owner of Elizabeth D Bakes, hosted by the Piccadilly branch of Whole Foods Market. Elizabeth demonstrated no less than 3 different recipes – pistachio brownie, carrot cake and lime tart. My absolute favourite was the carrot cake, with it’s wonderful spicy mix and delicious carrots. The lime icing really brought out the flavour of the gluten-free cake, much better in my opinion than the traditional cream cheese frosting, and for far less calories. The brownie while delicious, was my less favourite of the trio, partly because as much as I would love to, I still can’t really get my head around chia seeds. To me they look too much like frog spawn when reconstituted and they don’t match the flavour and consistency of eggs. In contrast, the lime pie was a lovely treat – delicious, moist, crumbly and full of delicious citrus flavour. It came a close second to the carrot cake, and it’s nice to know that the entire pie can be frozen at different stages, so that you will always have one ready on standby. The masterclass was a great eye opener for me. Simply substituting just a few inexpensive ingredients can produce cakes and bakes which are just as delicious as the traditional version, if not more so. The added bonus, these recipes tend to be a whole lot healthier and less calorific, due to their free from, gluten free and/or vegan attributes. We are all given goodie bags, which included 2 Elizabeth D Bakes banana breads. I shall review the banana bread at a later date. I will also try the recipes given at the event and report back. One of the best masterclasses of the year so far – fun, informative and generous yummy samples provided. Eating cake for Sunday brunch can’t be beaten. A few weeks ago, I posted a recipe for quick flat bread. This recipe is just as quick to make, and perhaps a tad healthier. I even managed to make an extra 2 flat breads with this recipe. Combine all the ingredients in a food mixer, until a slightly sticky dough is formed. Cover the bowl with a clean tea towel, and set aside for 10 minutes to allow the dough to rest. After resting, divide the dough into 14 equally sized balls. Meanwhile, heat a heavy bottomed saucepan or frying pan over a medium to medium high heat. Roll each dough ball on a well floured board, into a circle about the size of a tea saucer. Cook each flat bread in the pan, for a minute on each side. To keep the flat breads warm whilst cooking, cover a plate with a clean tea towel, and add the freshly cooked flat breads on top. Cover again with another clean tea towel to keep them warm. As promised, here is my review of the beauty product I mentioned in a couple of my previous posts. Introducing the 320 MHz Organic Rose Otto serum oil. A brand which is described as 100% natural, the beauty treatment was inspired by ancient botanicals, Botanic science and aromatherapy. Having tested the face oil serum on the back of my hand, it is very fast absorbing, leaving the skin smooth, supple and moisturised. I was particularly impressed by it’s rapid absorption and lack of any oily residue. You only need a drop or 2, as a little goes a very long way. Using organic Rose Otto essential oil, combined with cold pressed Moringa Oleifera seed extract, the serum support healthy cell regeneration, promotes well being and can help alleviate stress. At £62 for 50ml, it initially seems outside many people’s beauty budget, however, I disagree. This product has the potential to last at least 6 months, and bearing in mind you only need 1 or 2 drops for your face and neck, after a few weeks you may find that you won’t need other creams and potions. The only slight grumble I have is with the packaging. The colour scheme is chic and sophisticated, but if you suffer from poor eyesight, it can be difficult to distinguish which product is which, especially as the text on the label is very small, and doesn’t stand out very much against the dark background.